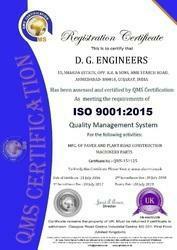 Established in the year 1990, in Ahmedabad (Gujarat, India), we “D.g. Engineers” are the reckoned Manufacturer and Exporter of the high-quality range of Hot Batch Mix Plant Spares, Wet Mix Plant Spares, Vibratory Road Roller Spares & Paver Track Pad etc. Our complete product array is manufactured using advanced technology and quality tested raw material. The offered product array is highly acknowledged for the features like robust construction, rust resistance, industry-approved finish, minimum maintenance, excellent performance and long operational life. We make available these products in several specifications for meeting the demands of our esteemed clients. 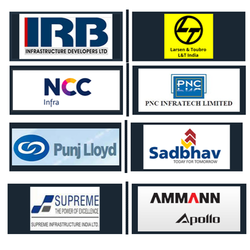 Under the direction of our mentor, “Savan Panchal”, we have achieved the highest position in the industry. With the assistance of our state-of-the-art infrastructural setup, we have gained a reputed position in the industry. Our infrastructure is well-installed with modern tools and machinery. This infrastructure helps us to furnish the demands of our esteemed customers within the estimated time frame. We stringently check the offered products at our advanced quality testing unit on predefined quality parameters for assuring the complete flawlessness of the products. We have also segmented our infrastructure into different parts that are supervised under the strict guidance of our experienced professionals. Our experienced professionals ensure smooth and hassle-free production process of the products as per the clients’ requirements. For making the easy business transaction with the customer. Our dedicated and skilled team of professionals facilitates us to accomplish the exact needs and requirements of our prestigious customers in well-defined manner within the promised time span. Works in close association with the clients, our team of dexterous and enthusiastic professionals capably meet the objectives of our entity within the estimated time span. Employed by our HR department by testing their skills and knowledge, our team is divided into variegated sections for hassle free business operations. We are blessed with an up-to-date and innovative infrastructural facility that disperses an extensive area of land. Segregated into enormous sub-functional units which include production unit, quality control unit, warehousing & packaging unit and administration unit, our infrastructural facility is well-resourced with contemporary machinery, equipments and tools for optimum utilization of resources. Apart from this, all these units are updated at regular interval under the stern guidance of our team of technicians in adherence with the latest technological development. 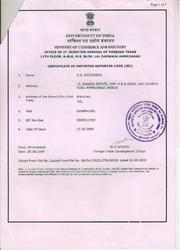 PNC Infratech Limited and more.